The Fijian delegation is dazzling audiences at the 12th Festival of Pacific Arts in Guam. Currently underway at the Paseo Stadium in Guam’s capital city Hagatna, the Fijian performers displayed the diverse culture in all skills level through art, dance, musical and fashion exhibitions. Top local designers Epeli Tuibeqa of KuiViti collection and Samu Cabe of Cabes Creation – Fiji, displayed their traditionally-infused designs modelled by members of the delegation during fashion shows at the festival. Our top local singers also took to the stage with the likes of Fiji’s Vude Prince Savuto Vakadewavosa, Isireli Mainavukea and Akanisi Vakaloloma entertaining the crowd at the festival. The festival, which rallies 27 Pacific Island countries to the host city, is the largest cultural exchange in the region. The 97-member Fijian delegation is made up of different groups and individuals from different ethnicities including top local musicians, designers, artists and dance groups like Rako Pasefika and VOU Dance Group. 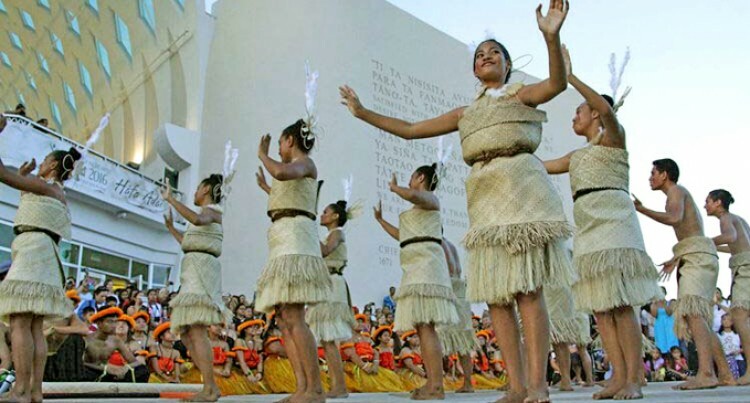 Guam made its bid to host the 12th Festival of Pacific Arts and was awarded this distinction at the 10th Festival held in American Samoa, in 2008. The current festival is Guam’s opportunity to showcase its unique Chamorro culture that has survived colonisation of the past and modernisation of the present. The Festival of the Pacific Arts is held every four years since 1972, and brings together artists and cultural practitioners from around the Pacific region for two weeks of festivities. The Festival of Pacific Arts opened May 22 and ends on June 4. The Secretariat of the Pacific Community (SPC) is the festival custodian.